Dollhouse Miniatures by Felma J.: My Journey To Celebrating Life One Year Anniversary! 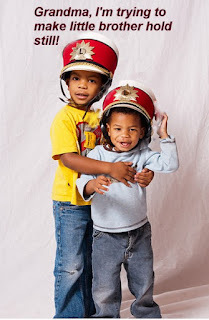 Spotlight on Grandsons! My Journey To Celebrating Life One Year Anniversary! 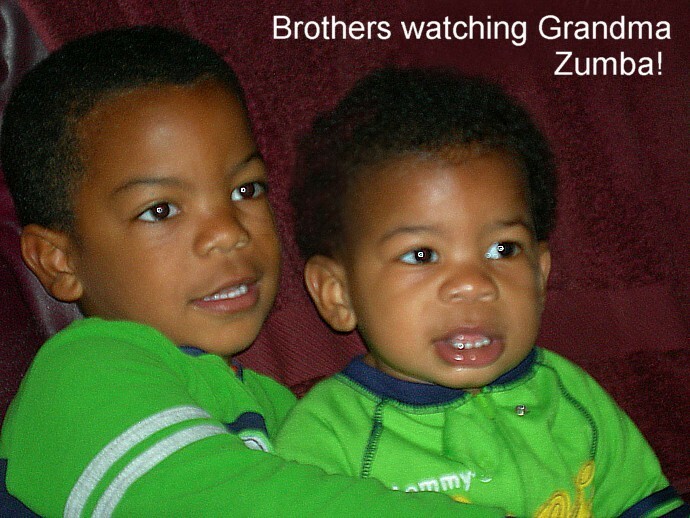 Spotlight on Grandsons! Life is simpler when we plow around the stumps. Life is not about how fast we run or how high we climb, but how well we bounce. Big Brother holds on to Little Brother as he shows love for him. He protects him with lots of love and admiration. My boys have the best protection of all. Next to God, their earthly Father loves and protects them. 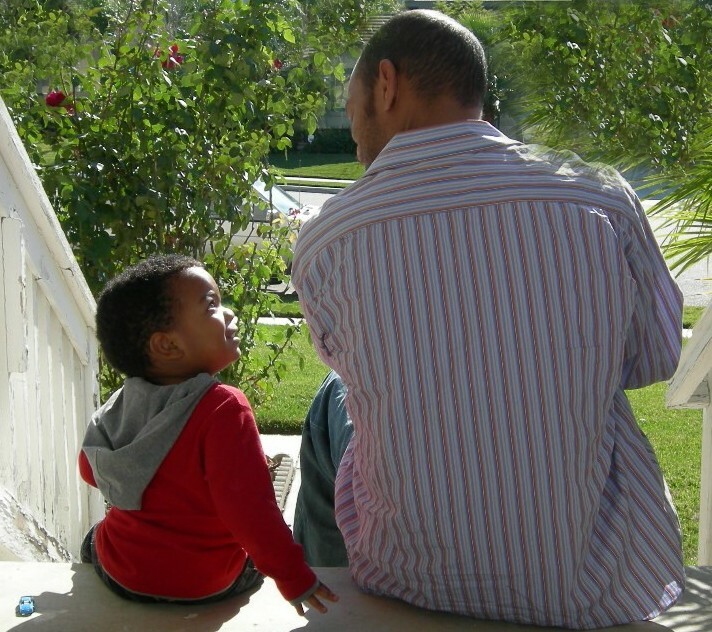 In the picture below, "Daddy and Son" are engrossed in conversation as I do my very best to capture the look of love and adoration. Approaching my 63rd birthday and 12th year survivorship with the speed of lightening, family, friends and holding on to what I love means more to me than ever. My grandsons are my life. My Journey To Celebrating Life is all about two little boys. They are the reason I get out of bed each morning and say, "Thank you Lord for another day with the ones I love." I haven't stopped doing the things I started my blog with last year. Planning to walk a half-marathon later this year with my favorite daughter. Making dollhouse miniatures will always be one of my greatest passions and I will capture the creativity with both hands as long as I can. Since I am much wiser now, I know this is the best year of my life. Hope it is your best year too. Again, thanks to all of you for following my blog for the inspirational e-mails. Hugs and kisses to all. Be inspired to hold on with both hands as you celebrate your life with lots of love and creativity.